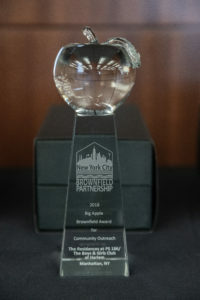 Impact is excited to announce another project of ours has won the Big Apple Brownfield Award for Community Outreach 2018. 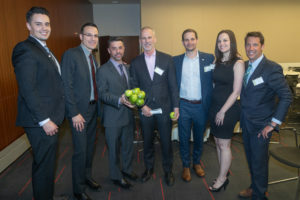 The Big Apple Brownfield Awards promote excellence in Brownfield redevelopment by honoring successful Brownfield projects in New York City. Each year the NYC Brownfield Partnership formally recognizes successful NYC brownfield clean-up and redevelopment projects within the 5 boroughs. Impact will be awarded for The Former PS 186 Boys & Girls Club of Harlem. After much dedication and persistence, we would like to congratulate all the Impact team members that worked hard on this project. Architect Charles B.J. Snyder designed the Italian Renaissance Revival school building which was completed in 1903. 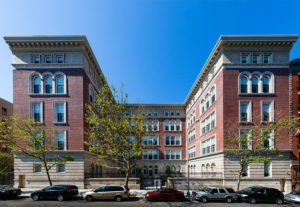 The building existed as an active part of the New York City Public School system until 1975 when it was abandoned due to redistricting. In 1986 the Boys & Girls Club of Harlem[BGCH] acquired the building. After public outcry for preservation of this historic building and funding from city, state and federal sources the BGCH and its development partners have saved the building from demolishment. Since 2014 the school building has undergone and $48 million restoration. Historically faithful restoration mixed with modernization is the theme of the 100,000 sq. ft. of residential space and the 11,300 sq. ft. of home fore the Boys & Girls Club. Impact’s environmental consulting team performed environmental oversight for this project. The 0.68-acre property was impacted by historic fill, which included SVOCs and heavy metals. The site was remediated under the New York City Voluntary Cleanup Program concurrently with the development construction. Approximately 634.83 tons of impacted soil/fill was removed at the site. A composite cover system and a resurfaced foundation slab were installed as engineering controls during redevelopment/remedial activities.